People who fill out and submit a KLA Schools application are looking to join a company that strives to offer developing children a nurturing, safe, and educational environment for their formative years. Links to apply for jobs at KLA Schools are at the bottom of the page. Candy Arocena and her husband Roberto began KLA Schools in 2008 with the help of educators and investors. Within the next four years, the company opened four more facilities in South Florida and launched their franchise program in 2010. Since the start of that program, fifteen franchises have been opened. 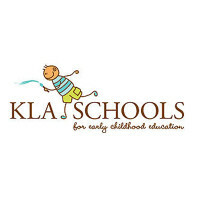 KLA Schools offers child care to children from three months of age until they turn six. In order to cater to each age group, they offer various classes to support the mental and physical development of the children. During the summer months, a summer camp is offered with a number of sessions that focus on different things. One of the biggest values that KLA Schools holds is providing a solid foundation for children to build a love of learning on. In order to do this, the company encourages children to form their own ideas, draw conclusions, and talk about the conclusions that they’ve reached in a group environment. People who are interested in KLA Schools careers at the corporate level will find themselves working in Miami, Florida. A majority of the positions will be geared towards making sure that all of the franchises are working properly and to assist any people who are interested in opening a new franchise. Locally, there aren’t too many KLA Schools jobs available as the company is still fairly new. However, there are several franchises open in Florida, and a few open in California, Illinois, and Washington. The company is expected to open at least one more facility this year. How old do you have to be to work at KLA Schools? Age requirements vary by position. As you browse KLA Schools jobs online, make sure to read all the position needs carefully because some jobs may require various degrees, certifications, or experiences before you take on the position. Because there are a number of locations that are run by franchisees, hours will tend to vary. Usually, hours will start before most people need to be at work, anywhere between six and seven am. Closing hours will vary considerably, depending on the area that the school serves and could close anywhere between six and seven pm. Assistant Teacher – Occasionally, you’ll teach lessons to children, but you will spend a majority of your time making sure that children are engaged in the lessons and learning. On a daily basis, you’ll work closely with the Head Teacher to manage the classroom. Compensation is around $35,000 a year. Head Teacher – You will need to know the learning curriculum that KLA Schools follows in order to create daily lesson plans that you’ll do. Although you’ll have the help of an Assistant Teacher, you will still work to make sure that all of your student are engaged and learning. Compensation is around $50,000 a year. Food Service – You’ll need to make sure that you meet state and federal standards in kitchen cleanliness and in the food that you serve the students. In order to make sure that students are getting the proper nutrition, you will need to plan out all meals. Compensation is around $25,000 a year. Education Coordinator – The biggest part of this position is working to make sure that teachers understand the philosophy of the school and are teaching students with that ideal in mind. As needed, you’ll give the teachers any support that they may need. Compensation is around $40,000 a year. Why do you want to work for KLA Schools? This is an extremely common interview question, so you should be prepared for it. Talk about what drew you to the company, whether it was the culture or benefits and why it’s your first choice in places to work. What experience do you have? If you have any relevant experience, make sure to highlight it. If you don’t have any experience, talk about what you can bring to the position and offer the company. Use plenty of examples to back up and support any claims that you may make. Where do you see yourself in the next few years? Your interviewer wants to know if you see yourself with the company. Be realistic in your career expectations, and talk about how you’re willing to take on extra challenges and responsibilities in order to move up in the company. What age group of children do you prefer working with and why? Although KLA Schools only works with kids aged three months to six years old, some applicants may prefer to work with a specific age group. Make sure to explain why you prefer a select group and what age group would be your back up choice. Because this company relies heavily on customers for their business, you may be asked this question in the form of a hypothetical situation: How would you take care of an upset customer? Walk your interviewer through the steps that you would take to turn the customer’s experience around, making sure to be practical and realistic. How to apply for KLA Schools online: if you’re interested in becoming a franchisee, follow the first link below and read through all the materials before filling out the paperwork. To become an actual employee, there is no KLA Schools application available on their website, so you’ll have to go through a reliable third party job site. There is no printable application for KLA Schools available on their website. Before attending your interview, do research on KLA Schools and the industry in order to come up with a list of questions that you can ask. For an entry level position, this may seem excessive, but it will place you above the other candidates as it shows that you think ahead. Your interview will probably take place in a semi-formal setting so you should dress in business casual. If you’ve applied for a managerial or supervisory position, a suit would be appropriate. Have a positive and friendly demeanor in order to give a good impression. Show gratitude at the opportunity to interview with KLA Schools. Afterwards, inquire about the best way to check on your hiring status because no candidates will learn if they got the job during their interview. KLA Schools will want to screen all candidates before making a final decision on who they hire. Pet Supplies Plus: Visit the Pet Supplies Plus application. DHL: Checkout the application page for work at DHL. The Tutoring Center: For employment at The Tutoring Center visit the application page. John Deere: Visit the job application for John Deere to apply today. Kaplan: See this page for jobs at Kaplan.